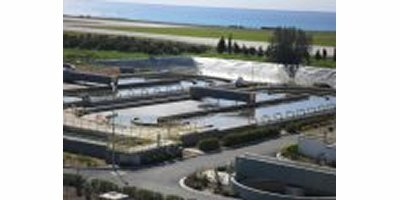 Wastewater characteristics change continuously, depending on rainfall, industrial processes, and even the time of day. Over-aerating is a common, expensive problem that results in excessive energy costs and unnecessary wear and tear on your equipment. The OxyStream™ Oxidation Ditch system combines slow speed surface aerators with an oxidation ditch design based on site-specific conditions and our proprietary hydraulic model. 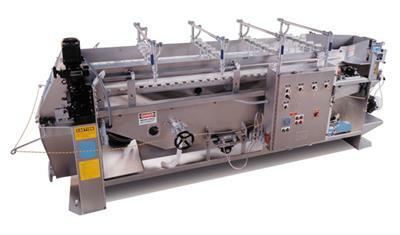 When mixing and horizontal flow is essential for biological wastewater treatment processes, The low-speed mixers deliver outstanding cost-saving performance for applications that involve gentle mixing of large fluid volumes. Airmaster Aerator 'TURBO' is one of the most advanced and efficient aerator technologies available today. 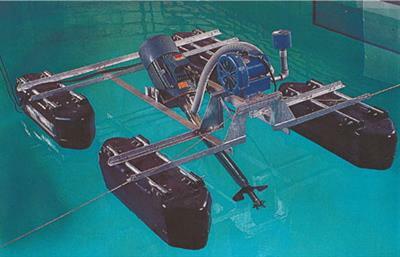 With the unique design of our floating/surface aerator, we can achieve high capacity water movement with aeration. We specialize in pond aeration, pond aerators for sewer and oxidation ponds. By Airmaster Aerator, L.L.C. based in DeRidder, LOUISIANA (USA). The Landox Channel Aeration System combines vertical drum mixers with fine bubble diffusion in an oxidation ditch arrangement. BIOMIXER Aeration & Mixing System by S&L is a patented, award-winning system that integrates the efficiency of fine bubbles diffusion with tremendous mixing capability in a single pre-engineered apparatus. Gravabelt Gravity Belt Thickeners reduce sludge volume of biosolids and waste activated sludge and produce a pumpable concentrate for dewatering, treatment, or transport. The K-S Gravabelt uses only gravity and a porous drainage belt along with our Roto-Kone High Rate Drainage system to enhance thickening performance at a reduced operating cost. By Komline-Sanderson based in Peapack, NEW JERSEY (USA). 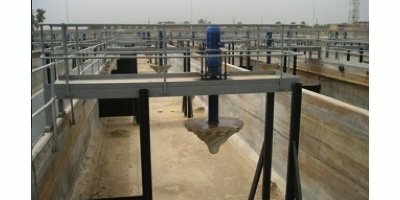 Brush aerators are cost effective solutions for the oxidation ditches and carrousel systems, for which nitrification and denitrification is carried out in the same tank volume without any additional tank and pumping. 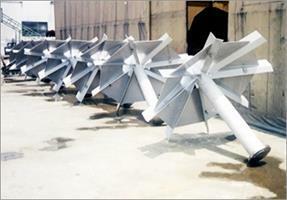 They can also be used in compact plants in annular aeration tanks, surrounding the circular clarifiers. This type of aerators consists of blades mounted on the pipe forming the main shaft and is generally used in oxidation ditches. One end of the main shaft is fixed to the bedding, while the other end is connected to the drive unit. Both ends of the aerator need to be protected against splashes. The KEE aerator is a surface mounted aspirator aerator that offers easy installation and minimal maintenance. There is total oxygen dispersion with the whole basin circulation preventing short-circuiting. 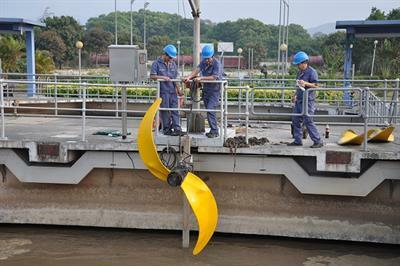 The Aspirator meets the EPA definition for fine bubble size (2.0mm) and can be float, wall or bridge mounted. By KEE Process Limited based in Aylesbury, UNITED KINGDOM. 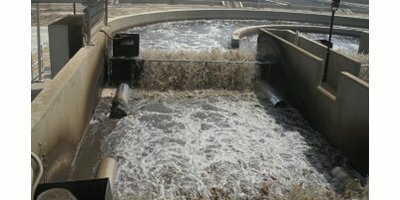 Activated sludge process. Oxidation Ditch process. Floating aerator. Equalizing Tank. By Taset based in Hwaseong-si, SOUTH KOREA. 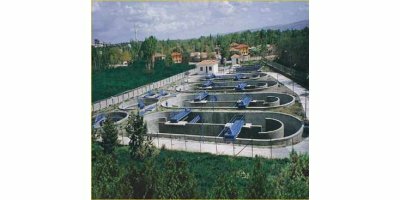 Municipal Wastewater Biological Treatment Reactor designed to service communities of 5.000 - 100.000 equivalent population. 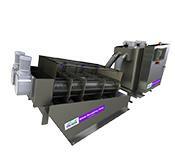 The system is applicable in specially designed oxidation ditches equipped with surface aerators. Patent of the Dutch Company DHV Water. By ENVITEC A.E. based in Attica, GREECE.